The popularity of Kodi has been heard. While Kodi itself has never aimed to produce a product to infringe on copyright it’s open source platform has made it a popular tool for users and developers to create plugins that enable options for users to cut the cable and resort to streaming online instead of paying hefty satellite and cable bills. Access to the latest movies and TV shows has been the primary reason for someone to invest in a “Kodi Box” but the shift has started with users now looking to enhance their experience by purchasing and subscribing to an IPTV service. A lot of television providers have already shifted to this philosophy where they offer a television service that streams from your internet connection. The problem, many continue to over price and prevent the flexibility of allowing the user to choose exactly what they want without associated fees or extra loop holes. Having the ability to subscribe to two or two hundred channels should ultimately be the option and it’s part of the reason why so many users are now looking at online options through Kodi to eliminate the need for a cable provider (yes you’ll still need internet). Not all IPTV services are illegal. Services like USTVNow and NTV.MX offer paid services that (from our understanding) are completely legal. On the other hand if you’re gaining access to a list of 200-500 channels with PPV for $10 a month there’s a good chance you’re accessing an illegal stream. Still, we fall into a legal grey area with streaming IPTV online. Every countries laws differ from location to location so it’s advisable to do some research before purchasing (if you go the illegal route). In some circumstances because you’re not technically saving a copy or sharing it it isn’t deemed “illegal”. That being said, the last year and a half we’ve begun to see multiple cases where Kodi box sellers and illegal IPTV stream providers are being prosecuted. Undoubtedly this trend is going to continue to get worse and become more frequent. Whether you want to believe it or not cable cuttings are losing money from these devices and they don’t like it. Sooner or later, much like the music and movie industry did, you’ll first see them target the providers/streamers of these boxes before potentially looking towards the end user to send a message. We all remember the ridiculous stories of the six figure lawsuits from users who were sharing songs online don’t we? The law doesn’t necessarily care whether you’re watching for free or you bought an illegal stream, at the end of the day you’re still watching it. So if we haven’t scared you off yet (and that’s not out intention) you might be wondering how to protect yourself online when using a paid IPTV (or streaming from Kodi) service? Follow some of (preferably all) of these steps to keep yourself safe when choosing to cancel cable and pickup Kodi with an IPTV service. If anything out of this the one thing you want to make sure of is to not pay with your contact information. Even though you’re probably not truly safe from this using the steps below will provide more protection then simply entering in your credit card or paypal account and paying. It’s not just lawsuits to be concerned about. Providing payment information to a reseller could result in unauthorized credit card transactions or worse. There is no lawsuits (we’re award of) that have targeted someone for using an IPTV service but that’s not to say it won’t happen in the future. With that being said we don’t promote using an IPTV service or not, we’re here to write content and ensure our visitors remain educated on the subject. It’s your choice and at the end of the day which is exactly how it should be. That being said it’s time to get started. We’ve been preaching the use of VPN’s for quite some time now and we urge everyone using Kodi or IPTV to invest in one (here are some of our favorites). Whether you stream 3rd party or not it’s nice to know that by using a VPN your privacy should be intact. Not all IPTV providers will allow the use of a VPN on there service so look through the ones provided and choose one that does. A VPN will again help provide anonymity online with everything you do whether it’s using Kodi or searching cat videos. The first thing you’ll want to do is sign up for a VPN service. Don’t use a free service either, the results will be terrible and you might suffer through DNS leakage (making your IP accessible). 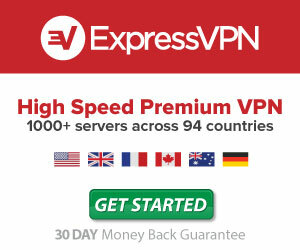 We highly recommend Private Internet Access or IP Vanish. Both offer competitive pricing along with some of the most reliable speeds for streaming content. After you’ve signed up, download the apps for your VPN on all your devices (computer, phone, tablet etc) and ensure they are running. If you want to route all your internet traffic through a VPN you can invest in a router like the Netgear r7000. Make sure everything is running and we’ll move onto the next step. Bitcoin has a public ledger with every transaction traceable but going this route is a lot harder to trace then entering in your personal credit card. The biggest concern anyone should have is opening up your payment details to the provider which could result in really getting screwed over. Pay monthly (or max 3 months) as well, this way if the provider disappears 3 months down the road (and it has happened) and you paid for 12 you won’t be out money. If Bitcoin is out of the question or your provider won’t take it then look into using a prepaid credit card. Look into a Vanilla Mastercard. If the IPTV provider wants personal details associated with the card then turn and run the other way. Some people will use Paypal but again, once you use this you potentially open your Paypal account to the seller. If Paypal is the only way then again we recommend a prepaid Mastercard but to also use a dummy Paypal account with fake information which we can setup below. For the ultimate Tin Hat, proceed below. We’ll need a fake email address to signup with our provider. In order to do so we recommend using Mailfence or Protonmail for this. Both email providers provide end to end encryption options meaning all emails cannot be decrypted by Protonmail thus limiting them from reading your emails, more importantly your encrypted emails cannot be shared with third parties. You’ll need an email to consult with your IPTV provider. If you’re still not convinced or you’re being extra paranoid then you can take some extra steps to provide more caution. Depending how you go about purchasing Bitcoin you can meet a local provider and pay cash for bitcoin. Signup and use Localbitcoins.com to obtain bitcoins. Be sure to use your fake email address and something like TextMe if it requires phone verification. Use a fake email, name, and register a fake paypal account and load a prepaid Mastercard when purchasing. Be sure to use a VPN when doing so. The steps above will help provide a safer experience when using IPTV but it doesn’t guarantee complete safety. In the end it’s the users choice on how they access or use IPTV whether it’s with a separate Mag Boxor with use through Kodi. We don’t condone or promote using (or not using) Kodi or IPTV services, Hotstickybun is simply a provider of content. We hope you enjoyed this guide, if there is something we missed please leave a comment.